Did you know that New Jersey has five types of spousal support (alimony)? Be sure to consult with your attorney to decide on the one that is best for you and your family. REHABILITATIVE ALIMONY is a short-term monetary award that allows a spouse to go back to school or obtain training to re-enter the workforce. LIMITED DURATION ALIMONY is paid for a set duration of time and is based upon the idea that the supported spouse will use this time to seek job training, education, and ultimately secure gainful employment and financial independence. OPEN DURATION ALIMONY is awarded until such time that the supported party remarries or passes away, and is not dependent on that party securing financial independence. However, open duration alimony can only be awarded for marriages which last longer than 20 years, unless there are exceptional circumstances. 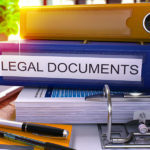 New Jersey law prohibits a parent of a child who is divorced or separated from removing a child who is a living in New Jersey, or who has resided in the state for five or more years, without the consent of the noncustodial parent or a Court Order. 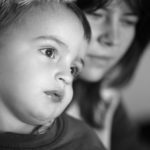 When is Moving a Child out of State Allowed? The custodial parent’s reasons moving the child/children. The objection to the move and reasons why they should not move. The past history of both parent’s behavior. Did you know that child emancipation in New Jersey takes place at age 19, not 18? Recent New Jersey legislation has moved the emancipation age up form 18 years old to 19 years old. This is the age when child support may end. 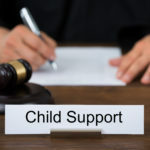 However specific instances will require the continued support of the child by the parents, such as full-time college, a disability, or a court order. However, a parent may request a continuation of child support up to age 23. • A court order specifies another age for terminating child support but not beyond the child’s 23rd birthday. Children need to talk about what is happening in your life and in theirs when it comes to divorce. Research says that most families talk about this life changing event in only 10 minutes or less. It is your choice to make the time to help your children cope. After all, you are the parents. Have a plan before you tell them. In most cases it is best to tell children approximately 2-4 weeks prior to separation. • Tell them together. It is best to be a team and talk about things without harsh emotions in the way. Talk to them at home where they can be themselves and not worry about outside surroundings. • Talk with the school so they are aware of what is happening at home. - This is not your fault. Mom and Dad have been unhappy for a long while. The National Domestic Violence Hotline (www.ndvh.org) defines domestic violence as "a pattern of behavior in any relationship that is used to gain or maintain power and control over an intimate partner." In other words, domestic violence is "a pattern of coercive behaviors that one person exercises over another." As the year turns over, it is time to take stock of many things; new year resolutions, cleaning out the actual closet, and gathering documents for your 2018 federal and state tax returns. There are also legal issues that everyone should consider to ensure they are properly protected along with their children. Two of the most common is ensuring your will is properly updated and reflects your current living situation, is reflective of any tax changes under the IRS code, and encompasses all parts of your estate (assets and property). Far too many people wait until they are in the midst of a health scare before thinking about what options exist or what kind of care they or their loves ones would want. A recent survey found that 90% of Americans believe end of life discussions are very important to have with their loved ones. However, only 30% actually have had these discussions with family. 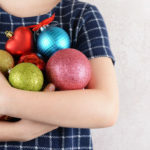 How do handle the holiday season with your children. Your emotions are flying high, yet you still want your little ones to believe in this magical time of year. Plan: Don’t wait till the day before. Do it now. If you and your spouse can’t come up with a mutual plan, contact your divorce attorney, so that a plan can be worked out. Your attorney may need to go to court to assure you that you can see your children during the holidays.